We are very proud to have been featured in Indesign’s ‘The Worklife Issue’ this month. 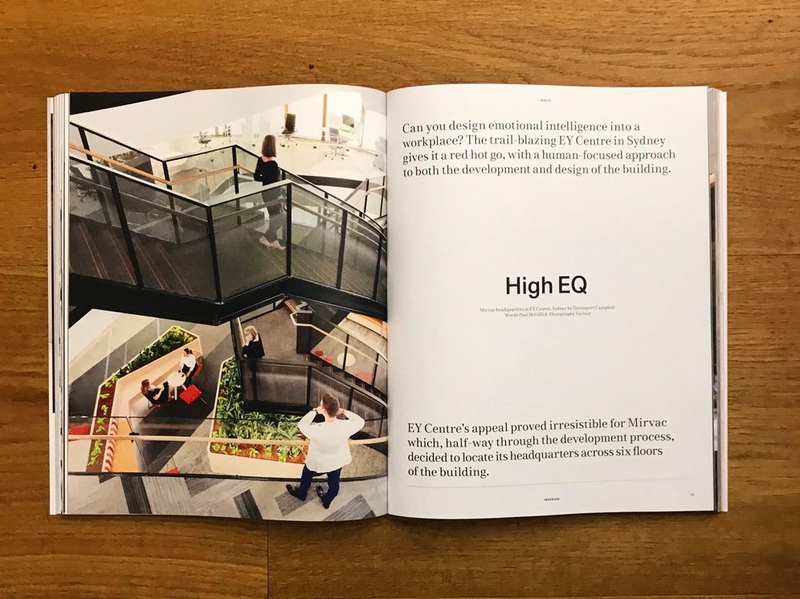 Our work at the new EY Centre at 200 George has been showcased in this fantastic story about incorporating a human-focused approach to both the development and design of the building. Read more here.